Europe’s largest co-working network will open their new digital innovation hub in the DCU Alpha innovation campus in Glasnevin in September – the first partnership of its kind in Europe. Talent Garden (TAG) believe they share the same “entrepreneurial DNA” as DCU, making the choice to set up their co-working university partnership an easy one. While the Italian network said they “cannot talk about businesses involved in the project yet”, the campus will offer lots to DCU Business School students. “We will deliver digital skills bootcamps through our Innovation School, in collaboration with DCU Business School,” commented a TAG spokesperson. “They will focus on areas such as digital transformation, artificial intelligence, growth hacking, augmented reality and virtual reality, coding, and blockchain. The campus will provide work space for 350 people, with an emphasis on entrepreneurs and and both early-stage and middle-age start-ups from the digital sector linking with large corporations. TAG have established eighteen campuses across Europe, with large companies such as BMW, Google and Electrolux availing of their facilities, and DCU’s existing facilites and reputation for innovation perfectly suit what TAG are looking for, according to founder Davide Dattoli. 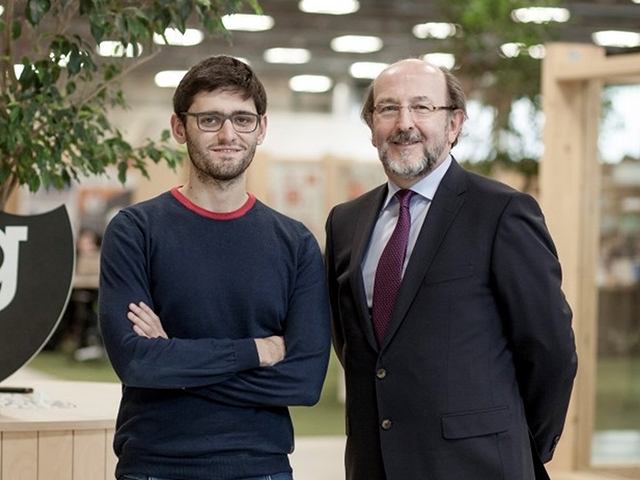 “The existing DCU Alpha community of digital and IoT innovators is the perfect home for us, while the University partnership will help us to scale our innovation school offering globally” Dattoli said at a meeting with DCU President Brian MacCraith at the TAG Milan campus earlier this month. Talent Garden currently have facilities stationed all across Europe, in places such as Milan, Vienna, and Barcelona, and have recently announced another new facility will be developed in San Francisco – providing a global networking link for both Irish start-ups stationed in the facility and the DCU students working with them. “Talent Garden Dublin goes way beyond co-working as it is currently understood in Ireland, and into the fields of accredited digital skills training, corporate digital transformation, as well as creating international connectivity for Irish startups looking to scale up in other markets,” commented MacCraith.